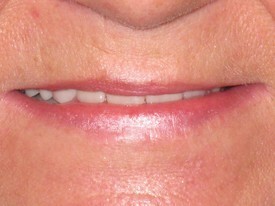 It is amazing what just an upper denture can do to a smile! 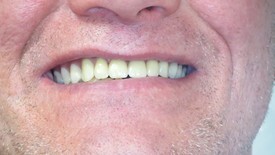 Tired of yellow-brown worn down teeth? Come see us today!! 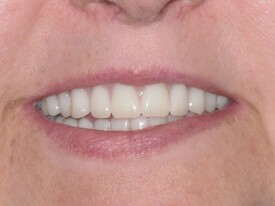 In this case we only fabricated an upper denture and the change was significant. 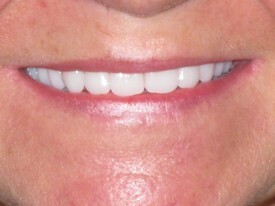 I love changing someones 'ok' smile into something that stands out and causes a person to grin all day. Knowing they have the confidence to do so. 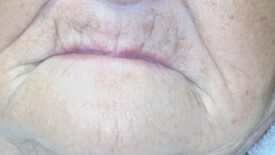 As you can easily notice, this patient has a strong lip pull to the right. 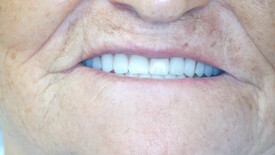 It is less obvious with the dentures and the smile is dead on. We love cases that are a bit of challenge. 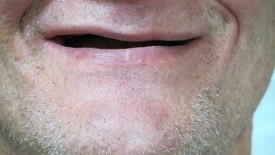 Before: Sunken smashed looking lips. 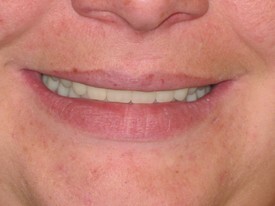 After: full lips and with the taller teeth her lips don't looks as smashed. 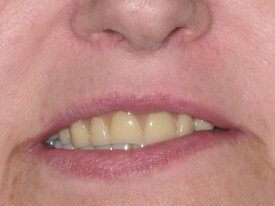 Note: There was more to be done but there is so much we should change at one time with each patient. She was thrilled with the changes! !